Free Shipping Included! Apple Watch Series 3 42mm Smartwatch (GPS Only, Space Gray Aluminum Case, Black Sport Band) (Certified Refurbished) by Apple at Got Busted Mobile. MPN: Apple. Hurry! Limited time offer. Offer valid only while supplies last. 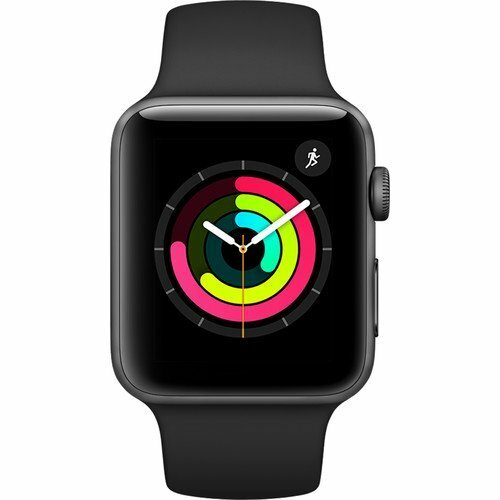 Stay connected in style with the GPS-only Apple Watch Series 3, which comes with a Space Gray anodized aluminum chassis and a Black Sport Band.